Professional photography - New for 2019! Port Angeles, WA is a dreamy little town on the edge of the Olympic Peninsula where mountains meet the sea. For the third year in a row the legendary Team Laser Kittens host one of the state’s best mountain bike clinics for women. 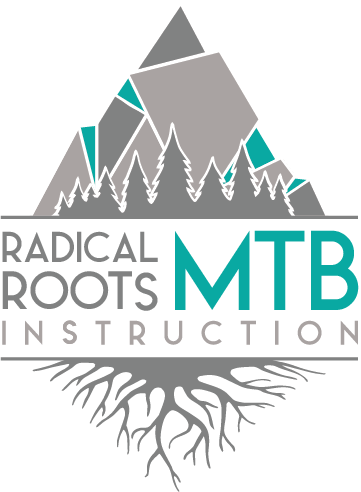 Professional coaches, Angi Weston with Radical Roots MTB Instruction and Lisa Mason with Women’s Freeride Movement, lead the mega-progression-sessions on the stunning trails of P.A. This is a small group clinic with loads of opportunity to learn, meet new friends, and ride world class trails - some of which were even built by Team Laser Kittens themselves. Open to women and anyone who identifies as female. The weekend will kick-off with a casual meet-and-greet on Friday night so students and coaches can get a chance to mingle, then on Saturday and Sunday we will split into groups for a student to coach ration of 6:1 and we’ll spend 6-7 hours on the bike each day. The coaches’ progressive approach to teaching starts students in a low-consequence setting giving them time to focus on proper body position, timing, and execution of a wide variety of foundational skills. Then they methodically add the next level of complexity for each skill so that their students are powered by the confidence of these successful successions. Regardless if your goals for the weekend are to learn the basics of mountain biking or learn how to catch more air and ride faster - our coaches tailor the lessons to your goals. Each student will also receive a list of “homework” and a skills re-cap and study guide sheet to help them continue to progress well beyond the weekend. Angi Weston is the owner and head coach for Radical Roots MTB Instruction and lead coach for the Hairball MTB Extravaganza. She has been coaching mountain bike skills since 2002 and is Level 3 certified (BICP) making her one of the most qualified and experienced mountain bike coaches in North America. Her reputation for being a fun and effective coach means she is invited to coach at many renown women's skills clinics around the country and reaches 1,000+ mountain bike students each year. Teaching is a great passion of hers and it shows in her enthusiastic and patient approach. Angi is sponsored by the Transition Bicycle Co, SRAM MTB, RockShox, Industry 9, Maxxis Tire, Honey Stinger, and Troy Lee Designs. Emily Ford relocated to Bend in 2014 where she picked up her first mountain bike and hasn't put it down since. She spends her springs and summers traveling with her husband and trail pup racing enduro mountain bike racess and riding all over the PNW. She completed her PMBIA Level 1 certification in North Vancouver, BC and found an all new passion in coaching and empowering others on and off the bike. A lover of all trail types, she lives for the steep, technical descents, loving the challenge and sense of accomplishment. Emily is excited to help riders meet their goals and smile along the way. We didn’t have a professional photographer with us for 2018 but that will change in 2019. Stay tuned!